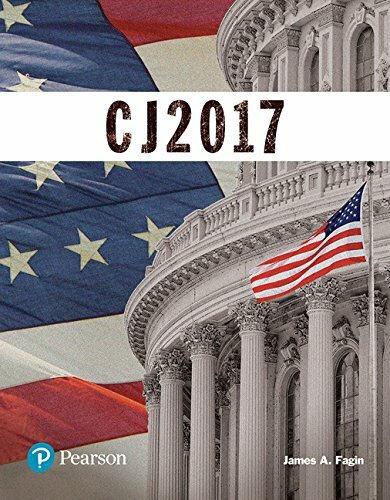 CJ 2017 provides an affordable, thought-provoking look at the criminal justice system that uses clear writing and eye-catching visuals to get your students straight to the important concepts. By focusing on these core concepts, students will gain true understanding of the material, without becoming overwhelmed with unnecessary information. The book’s conversation-starting pedagogy encourages active participation in learning, moving students beyond memorization by engaging them in the latest research findings and current events shaping the field. Over 500 changes and updates in CJ 2017 –including new U.S. Supreme Court cases, new debate about the police and its relationship with the minority community, and new developments in homeland security–reflect the changes in the field of criminal justice in 2015 and 2016. CJ 2017 is also available via Revel™, an interactive learning environment that enables students to read, practice, and study in one continuous experience.